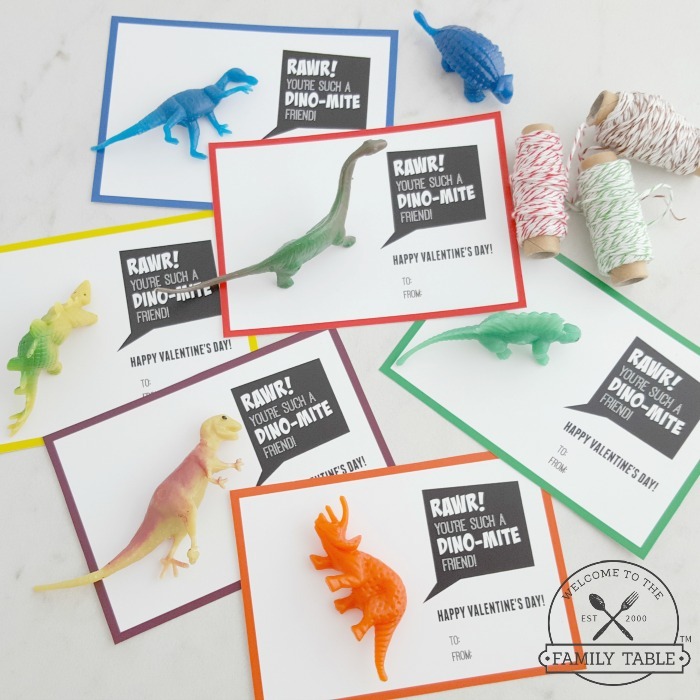 Do you have a dinosaur lover in your family? 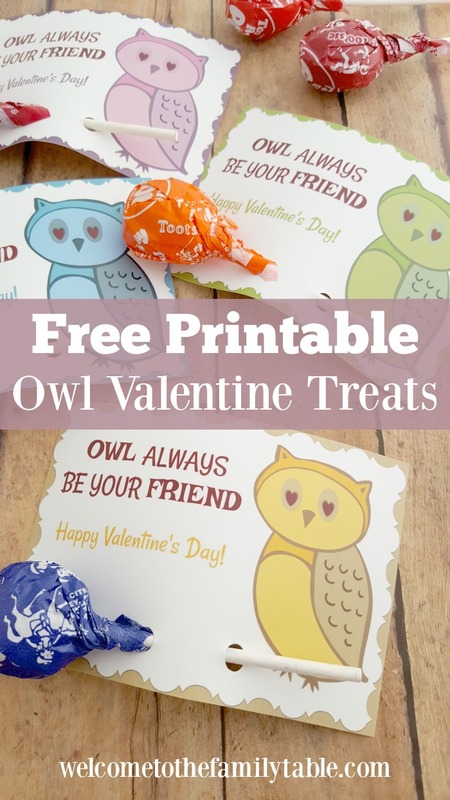 If so, these free printable dinosaur Valentine cards are for you! 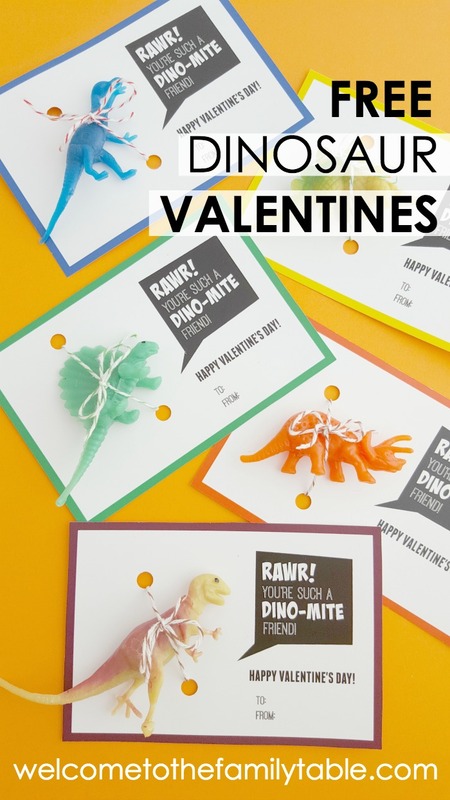 You can easily print these out and make adorable dinosaur-themed Valentine’s for everyone on your list! 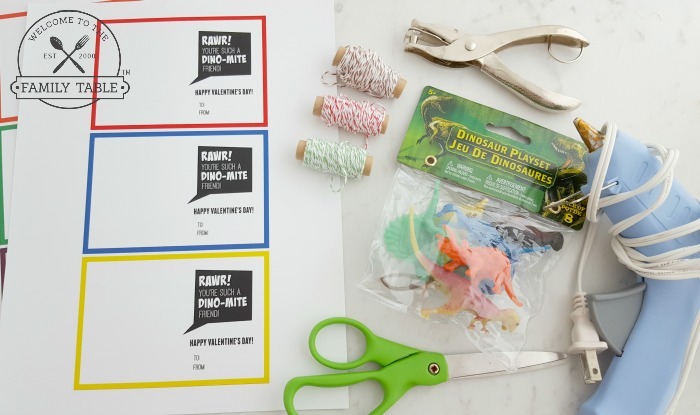 Below are the instructions to make your dinosaur Valentine cards. 1. Use scissors to cut along the outer edge of the colored square border on each valentine. 3. Punch a hole through the paper above and below the dinosaur. 4. Run a string through the holes in the paper and tie a bow in the front.